Grammy-award winning Canadian baritone Gerald Finley has become one of the leading singers and dramatic interpreters of his generation, with award-winning performances and recordings on CD and DVD with major labels and performing at the world's major opera and concert venues in a wide variety of repertoire. 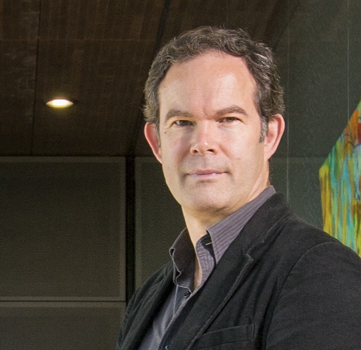 Gerald Finley, born in Montreal, began singing as a chorister in Ottawa, Canada, and completed his musical studies in the UK at the Royal College of Music, King's College, Cambridge, and the National Opera Studio. In opera, Mr Finley has sung all the major baritone roles of Mozart. His Don Giovanni has been seen in New York, London, Paris, Salzburg, Munich, Rome, Vienna, Prague, Tel Aviv, Budapest and Glyndebourne. As the Count in Le nozze di Figaro, his appearances include the Royal Opera Covent Garden, the Salzburg Festival, Paris, Vienna, Munich and Amsterdam. Among his roles at the New York Met are Don Giovanni, Count Almaviva, Golaud and Marcello. Elsewhere, his repertoire has developed with acclaimed performances of Hans Sachs, Amfortas, Iago and Guillaume Tell. In contemporary opera, Mr Finley has excelled in creating leading roles, most notably J. Robert Oppenheimer in John Adam's Doctor Atomic (New York Met, ENO London, San Francisco, Chicago and Amsterdam), Howard K. Stern in Mark Anthony Turnage's Anna Nicole at Covent Garden, as Harry Heegan in Turnage's The Silver Tassie at ENO, and as Jaufré Rudel in Kaija Saariaho's L'amour de loin for the much-acclaimed premieres in Santa Fe, Paris and Helsinki. In 2012, the DVD release of Doctor Atomic was awarded the Grammy for ‘Best Opera Recording'. In concert with orchestra, his wide ranging repertoire includes appearances with all the major London orchestras, the Berlin Philharmonic, the Concertgebouw Orchestra, the Bavarian Radio Symphony Orchestra, the New York Philharmonic, and the Los Angeles Philharmonic Orchestra amongst many others. As a devoted recitalist, he works regularly with Julius Drake. Mr Finley's many solo recital CD releases have been devoted to songs of Barber, Britten, Ives, Liszt, Ravel, Schubert and Schumann.